Charbonnel et Walker’s Christmas 2018 collection is inspired by Victorian Miniature Paper Theatres. Hugely popular in the 19th Century and collected by adults and children alike, every successful production staged in London’s West End would be reproduced in miniature. Back to a bygone era and more than just a toy, these paper theatres allowed children to expand their imaginations bringing a visual and magical entertainment into the home. 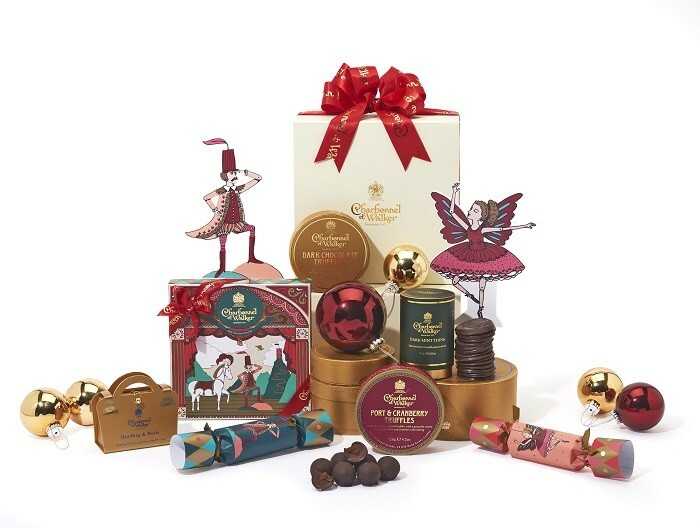 We re-visit this theme with a delicious collection of chocolates and truffles that bring fantasy, joy and a sense of wonder to your home or as magical gifts presented at this festive time of year. A tier above the rest, celebrate Christmas with this truly tempting hamper, filled with magical gifts and featuring our paper theatre characters. A sumptuous feast of chocolate delights! Before the curtain goes up, take a peek at our glorious hamper filled with sumptuous assortments, bringing a visual feast to delight this Christmas. 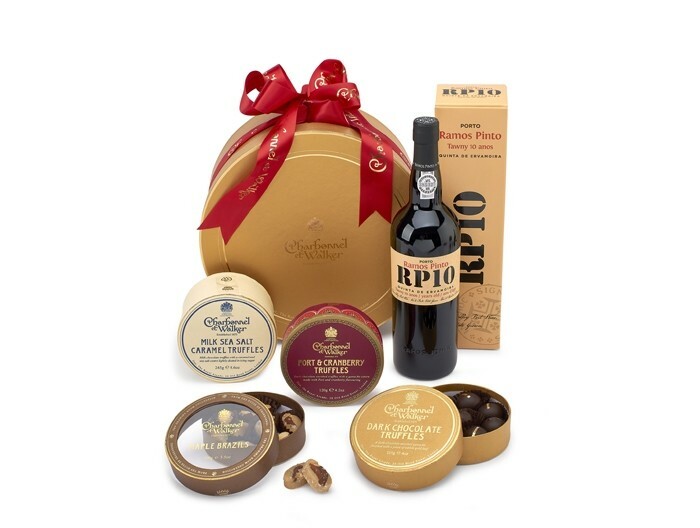 This exquisite hamper brings a sparkle of festive cheer with our traditional Maple Brazils, Port and Cranberry Dark Chocolate Truffles, Milk Sea Salt Caramel Truffles, Dark Chocolate Truffles with edible Gold Leaf and a beautiful bottle of Ramos Pinto 10-year-old Tawny Port, fruity and voluptuous with intriguing orange and spicy notes. 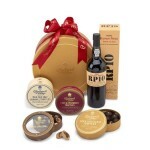 Enjoy this magical hamper the night before Christmas. The Bond Street Hamper brings you a chosen selection of signature Charbonnel et Walker delights alongside Newby Tea’s beautiful loose Earl Grey tea. 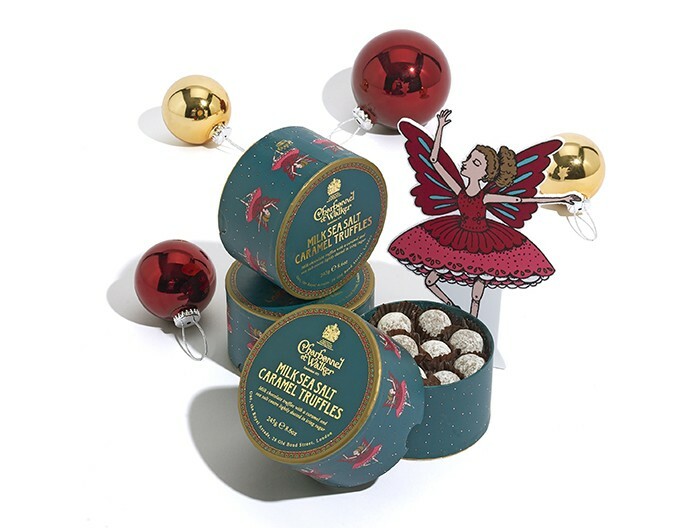 Contains the finest milk and dark chocolate selection, milk sea salt caramel thins, the original Chocolat Charbonnel drinking chocolate with pure flakes of indulgent chocolate from the recipe by Mme Charbonnel in 1875. Along with English Afternoon Tea Truffles, a milk and white chocolate truffle infused with the delicate flavour of Bergamot, the Bond Street hamper offers a selection of Charbonnel’s most desirable treats, truly a hamper of fine indulgence and impeccable taste. 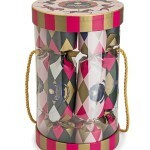 This beautifully illustrated Cracker drum contains six harlequin crackers. Three crackers contain our exquisite Pink Marc de Champagne truffles and the other three contain our decadent Milk Sea Salt Caramel truffles. Finished with a delightful Victorian carousel lid and pink and gold striped detailing, this is a delightful set that will add magic to any table or a most exquisite gift. Dance the night away with this delicious double layer box of sumptuous Milk Sea Salt Caramel Truffles! 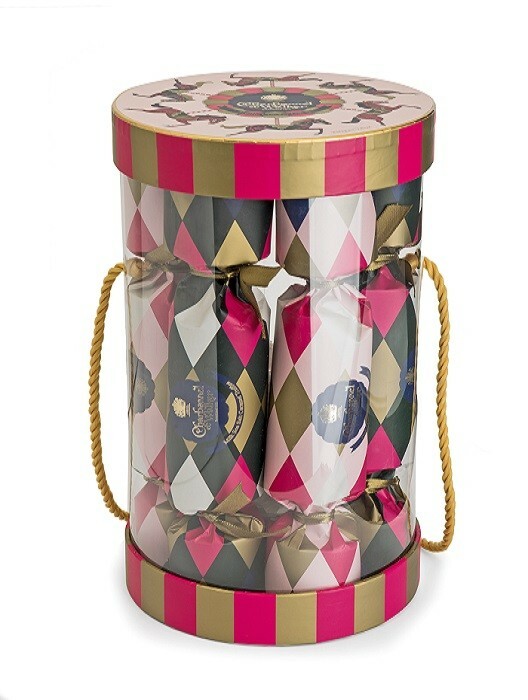 Featuring our prima ballerina from the paper theatre collection, this gift box and its contents will make your spirits soar at this festive time of year! They passed the audition! 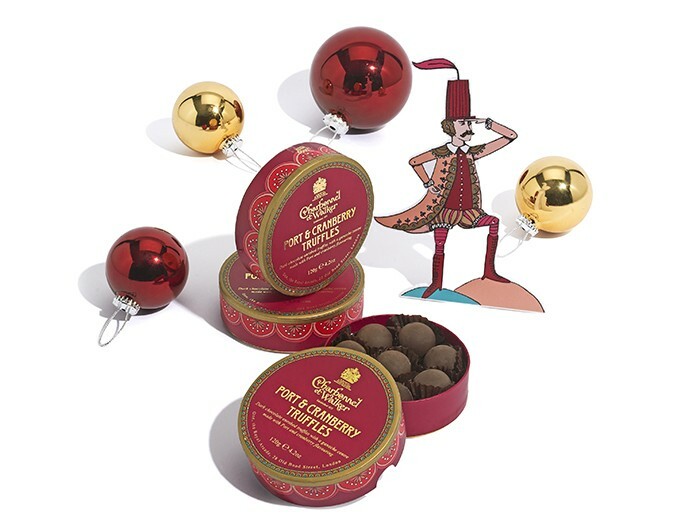 These sumptuous and indulgent hand-crafted truffles are filled with a delicate yet potent blend of Port-infused Ganache, flavoured with the sweetness of wild cranberries and enrobed in our finest plain chocolate. You Got It! 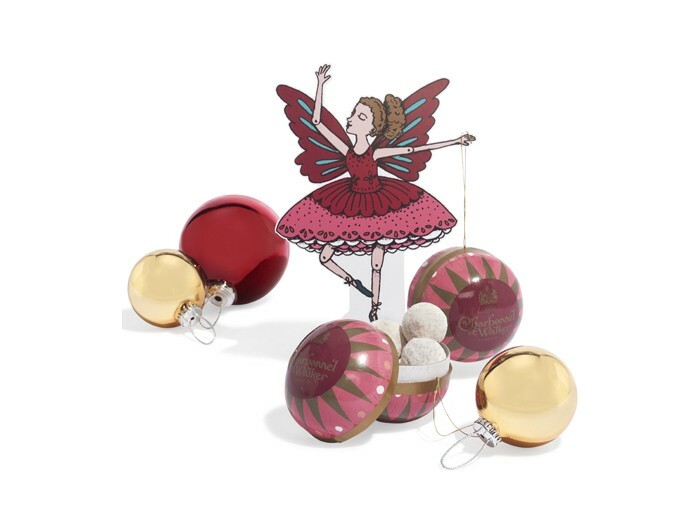 Our exquisite pink bauble is filled with eight of our most iconic Pink Marc de Champagne Truffles. 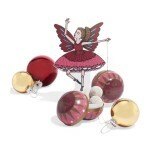 A striking addition to an elegant Christmas tree or a decadently delicious gift. 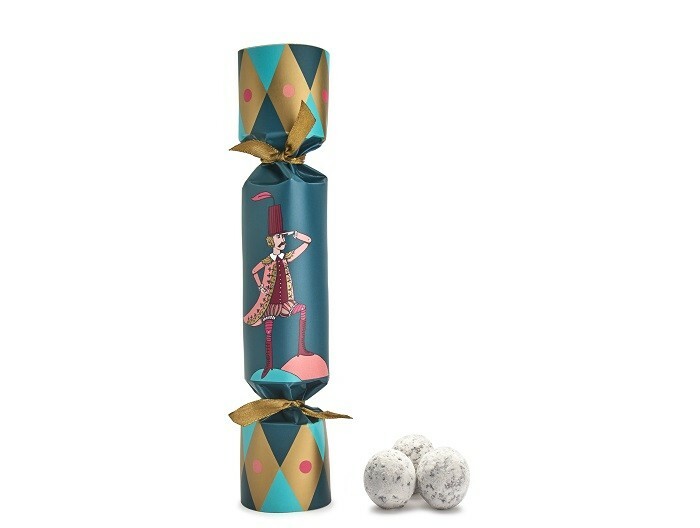 Straight from the green room our starry-eyed Nobleman brings you a sumptuous cracker filled with three Milk Caramel Sea Salt Truffles. The perfect stocking filler or party treat at this festive time of year! 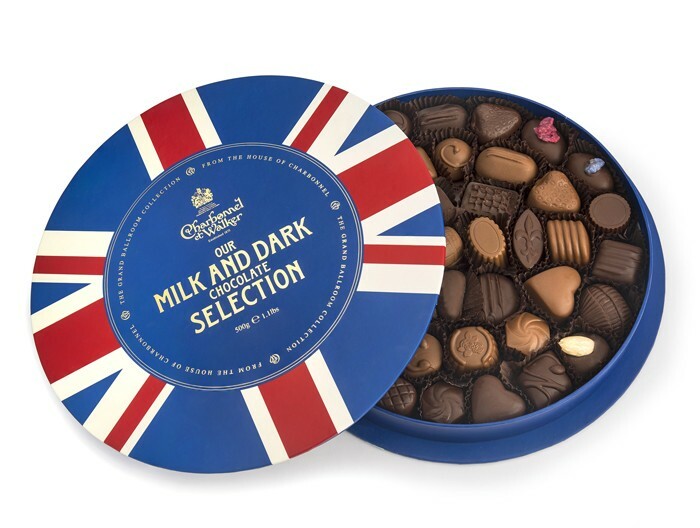 The Charbonnel et Walker Union Flag luxury selection is one of the most striking chocolate boxes. 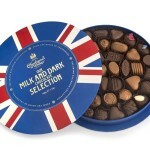 This Best of British box can be filled with a bespoke selection of Charbonnel’s finest English dark & milk chocolate.